Food slicers and planetary mixers can improve your kitchen’s ability to create more menu items or break down bulk purchases. 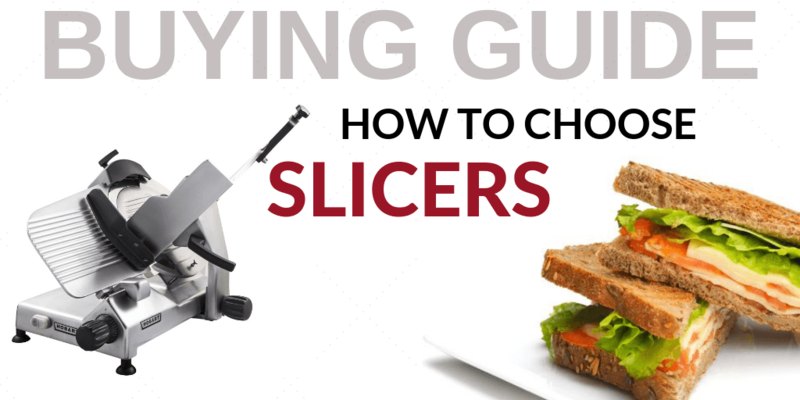 Food slicers are an essential addition for any deli or sandwich prep shop, and planetary mixers are a must-have for bakeries or cafeterias who need to prepare large quantities of cakes and other similar items. These commercial units are designed for durability and ease of use, ensuring they’re worthwhile addition to your restaurant kitchen. Your mixer can turn into a versatile machine built for a variety of tasks with the addition of any one of its accessory pieces. Chop veggies with a vegetable cutter attachment, grind meats with the meat grinder hub, or mix different batches of products with different mixer whisks. For smaller mixers and commercial units, you can also invest in an equipment stand to raise them up off the floor for easier access. CKitchen.com offers a line of Varimixer commercial kitchen mixers. Varimixer is known for their control systems, time saving innovation and product performance guarantee. Purchase a Varimixer commercial mixer from CKitchen.com and know that your commercial mixer will provide your food service business with top performance, durability, many years of trouble free operation, and reliability for the lowest prices in the industry. To get assistance, please contact CKitchen.com and & our certified food service equipment consultants will assist you with the latest, most updated information about Varimixer kitchen mixers, commercial restaurant equipment, food processing equipment updates & product information and technical data. We purchased it for a customer that owns a donut shop and they seem pleased with their purchase. The product was purchased for a customer of ours. Product is fine, service for purchase was excellent. The item was an extra mixing bowl for a baby Bear varimixer which my wife needs.